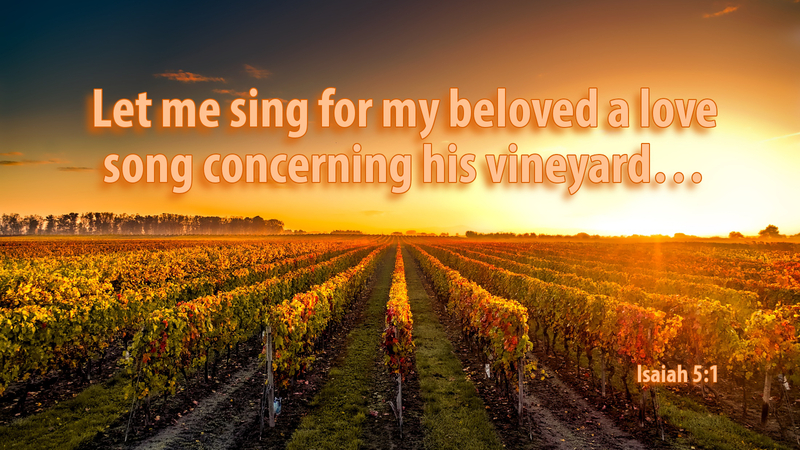 The Old Testament reading for today tells of the Lord God’s great love for His vineyard. The whole of Scripture can be understood as a love song for the vineyard that God cleared, tilled, planted and watched over—intending that good fruit would be borne on the vines. That was God’s intention and deep desire. We hear the love of the Lord in every verse today. But we read that while the Lord looked for it to yield grapes, it yielded wild grapes. In other words, God’s people disobeyed, went their own way, and bore fruit not worthy of the vineyard of the Lord. When we hear of judgment and wrath, we think of it as punishment, and that would not be wrong. But always, God treats his vineyard with an eye toward what will finally restore the vineyard and once again bring good fruit. Sometimes God lets the vineyard be overrun and overgrown, other times God is pruning and hoeing. All towards bringing His vineyard back to health and vitality. Advent is a time, also, when God is working to restore His vineyard to health and vitality. The call to repentance, the call to reflection and renewal, the call to prepare the way of the Lord—all serve this purpose. From our human perspective, God might very well abandon His wild vineyard altogether! But God is eternally patient and merciful, slow to anger and abounding in steadfast love. He will never give up on his errant vineyard! Prayer: O God, we are your vineyard. Do what is needed that we may bear good fruit, through Christ our Lord. Amen. Advent Action: List three ways God is strengthening your faith—and offer a prayer of thanksgiving!